Secluded beaches can be hard to come by in Sydney, especially if you’re a new visitor to the city. However, with the help of some secret local knowledge, you’ll find that the city is abundant with hidden gems ranging from harbour swimming spots to ocean beaches. Far away from the crowds that pack Manly and Bondi Beach, Sydney’s quiet beaches are perfect for exploring, unwinding and lazing on the water’s edge. 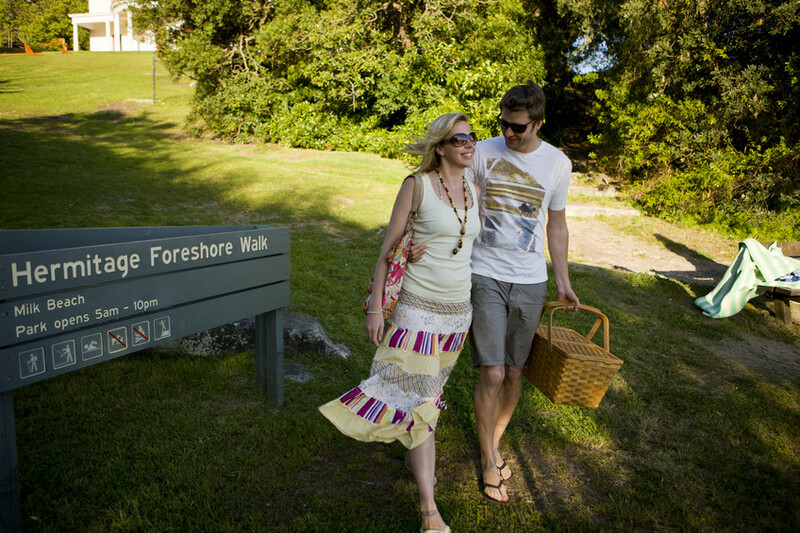 Located in Mosman, the easiest way to get to Sirius Cove is by taking the Taronga Zoo gerry and walking along the path to your left upon arrival. This U-shaped beach faces south into the harbour with two sheltered beaches at the northern end of the cove. A favourite dog walking spot, the beach draws in a range of visitors due to its safe, low wave swimming conditions. The small, isolated Milk Beach in Vaucluse is right below Heritage-listed Strickland House, and is one of Sydney’s Eastern Suburbs best-kept secret beaches. From fishing and snorkelling, to family picnics, this all-purpose beach is a celebrated spot for beach enthusiasts who are sick of the crowds of other nearby Eastern Suburbs beaches. Only a few minutes from Bondi, Milk Beach combines the best of both worlds – harbour views and surf, sun and sand. 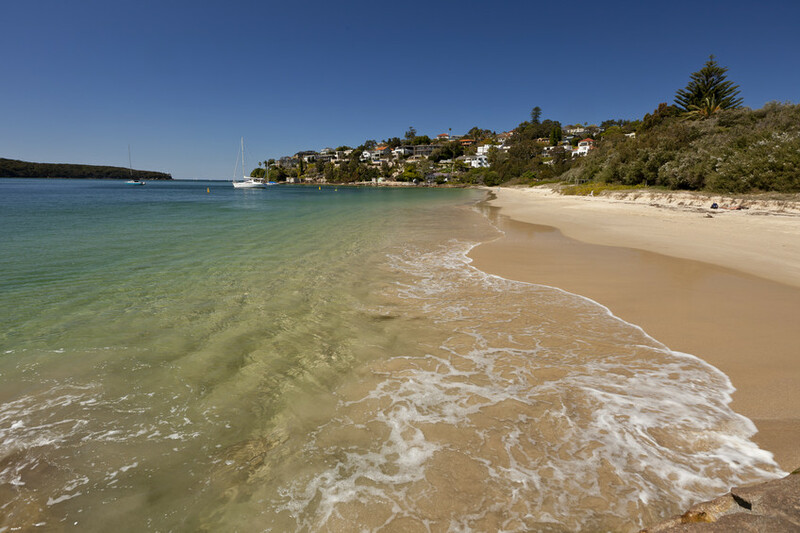 Chinamans Beach is a 250 metre stretch of sand, located in one of Sydney’s quieter residential enclaves in Mosman. Well inside Middle Harbour, Chinamans Beach is super secluded and is the perfect setting for a relaxed swim, picnic or day of sun. 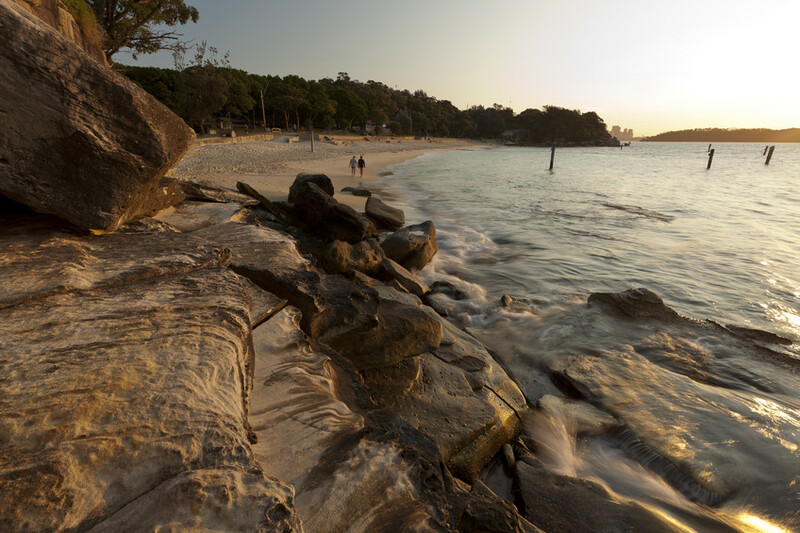 If you’re looking for a bigger surf beach, the more popular Balmoral Beach is just a scenic walk along rocks to the south, meaning it’s easy to jump between the two during the day. Scenic harbour views, just north of Sydney city and nestled between North Head and Little Manly Cove, Collins Flat Beach is located in one of Sydney’s best cluster of beaches. Whether you’re planning a romantic picnic or want to swim in calm waters, Collins Flat is the perfect spot for a day of relaxation. Enjoy breathtaking views across The Heads in this secluded spot which feels miles away from busy neighbouring Manly Beach. Just north of Coogee Beach and south of Clovelly Beach, the protected aquatic zone at Gordons Bay in Coogee is a picturesque small bay which truly feels like a secluded oasis. Enjoy the rideable left break over the rocks just outside the bay and a rideable reef off the south side of Gordons Bay. With an underwater nature trail too, swimmers and snorkelers are well catered for. Boasting calm blue waters and relaxed waves, the surf of Gordons Bay is a treat for swimmers and surfers alike. Only a short, and very scenic stroll from Manly’s main beach, Shelly is the quieter of Manly’s main beaches. 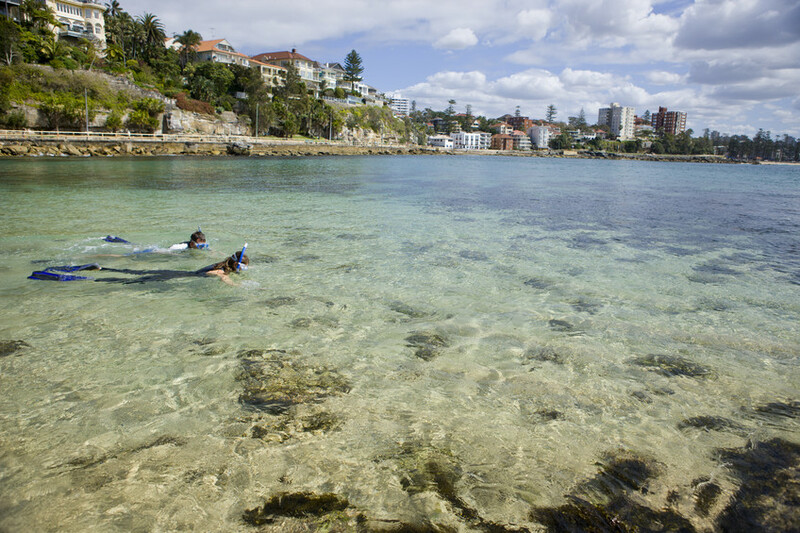 Getting there is easy – Shelly Beach Walk will lead you through the region’s unique marine life, plants and natural attractions, connecting Manly and Shelly Beach. Renowned as a fantastic snorkelling spot, explore the underwater scenery of one part of Cabbage Tree Bay. You can view a variety of marine life from the relatively shallow, protected waters. Enjoy panoramic breathtaking views of North Head and the Northern Beaches from this quiet, sandy spot. Visit Murray Rose Pool in Double Bay, nestled between King Cross and Vaucluse. Previously known as Redleaf Pool, this safe harbourside tidal enclosure gives swimmers incredibly safe and clean surrounds to enjoy the harbour backdrop. A popular spot for both recreation and relaxation, do laps in the cool harbour water or relax on the floating pontoons in the centre of the pool. Reef Beach in Balgowlah Heights boasts prime views across Sydney’s North Harbour right through to Manly. Take a refreshing dip and watch life move at a slower pace at this truly secluded gem only a stones throw from the popular beach mecca Manly. For a better view, head to nearby Arabanoo lookout at Dobroyd Head for commanding views of the surrounding waters. Located in Point Piper, Lady Martins Beach is a hidden harbour beach gem nestled in the relatively small Felix Bay. Access is difficult, via a narrow path from Wolseley Avenue or around rocks at low tide, but once you arrive you’ll never want to leave. Located in Vaucluse, despite the concerning name, there’s nothing to worry about at Shark Beach. The reserve, part of Nielsen Park, is renowned for its shady grounds and shark net-protected beach. 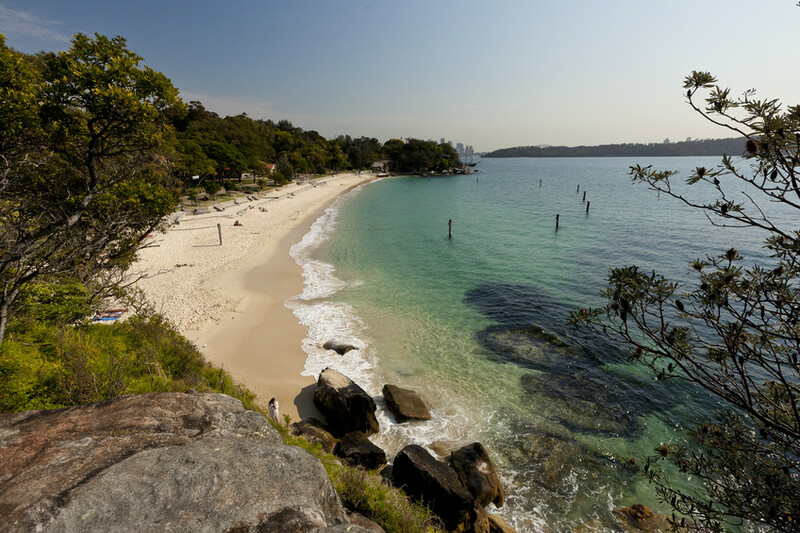 With three large sheltered areas, and plenty of nearby foreshore walks, no list of the best secluded beaches in Sydney would be complete without Nielsen Park’s Shark Beach. Be sure to see this stunning spot before the secret’s out. 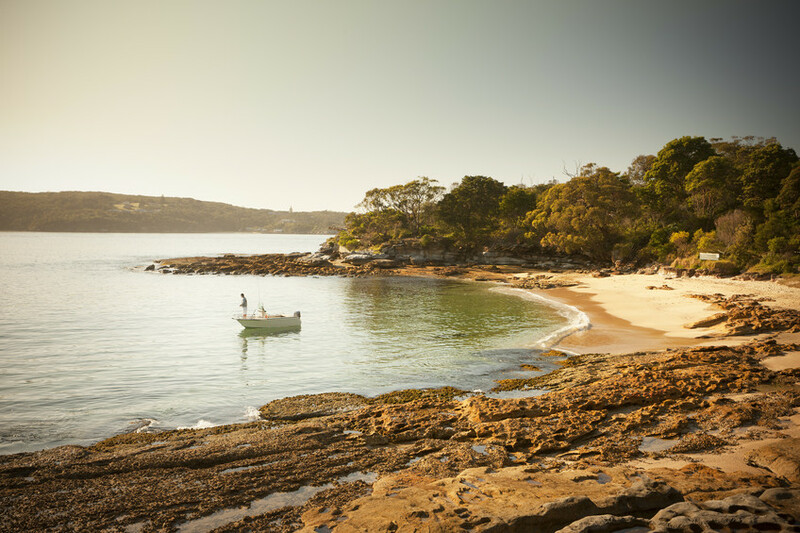 From swimming in a quiet, secluded spot to coastal walks through some of Sydney’s most untouched and pristine hinterland, Sydney has a handful of the best secluded beaches you’ll find in the country. Head to the state capital and explore the hidden beaches yourself with Webjet’s great flight and accommodation options.